Yesterday was v ery exciting in my garden – so exciting I could hardly stand still. 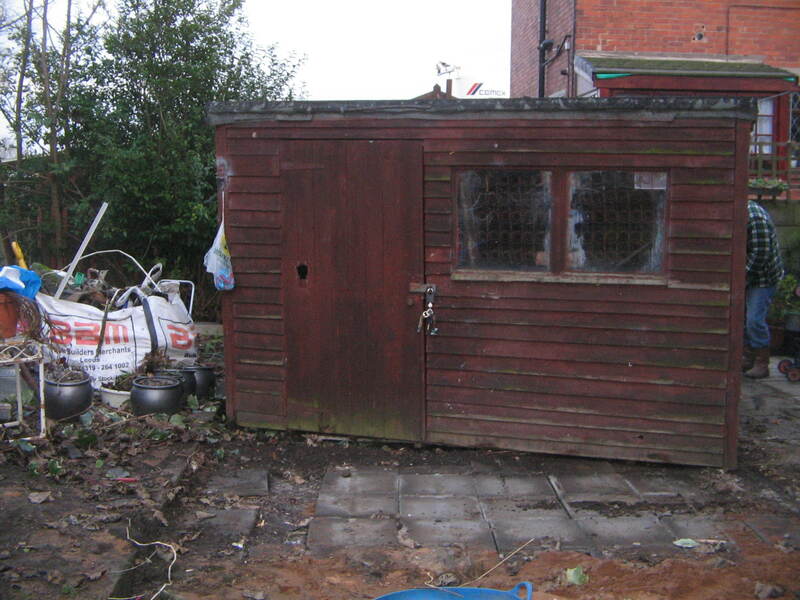 Ever since I arrived here back in October I’ve been desparate to move the shed. It was in tot ally the wrong place. Right outside the kitchen window and blocking the view. Too close to the house so you had to squeeze past it, and right in the middle of a useable space. In fact everything about where it was was just wrong. 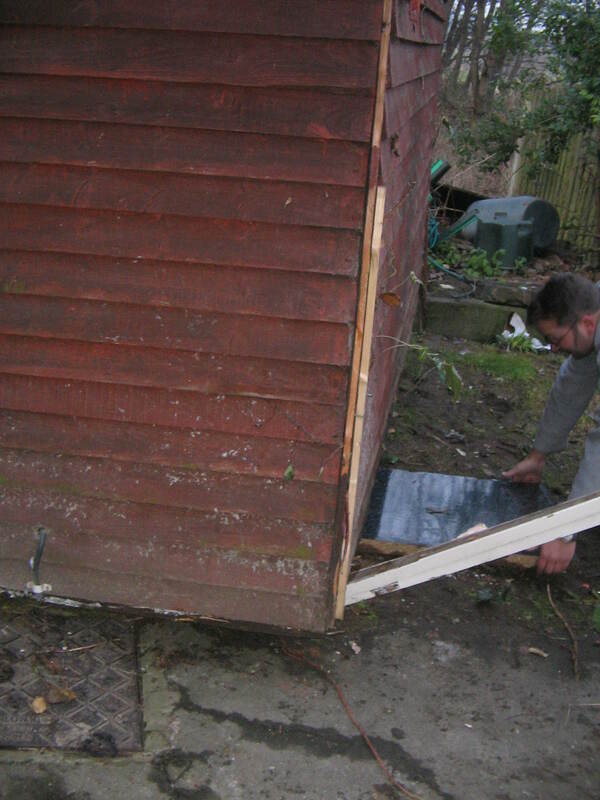 With the help of my son and neighbour the shed was levered up onto a couple of skids made from a sheet of old kitchen worktop and a tabletop and pushed and shoved across the garden back to the boundary where it should have been all along! Finally it was heaved onto bricks to support it off the ground. It’s a bit tatty at the moment but after a coat of paint to brighten it up it’ll be great – I might even give it a hanging basket – who knows?